Hi buddy, my name is John Fischer. Welcome to toysforbigboys.com. This is Teeny-Weeny. Teeny-Weeny is office security. She wants to make sure everything is secure, and I want to welcome you to toysforbigboys.com. Normally we feature our customers, but what I want to do today is talk about the specific categories and then who we have in those categories. A great category is what we call glamping, or glorified camping. Glamping, okay, which is glorified camping, and we got some really cool products that we’ve done a lot of research in this area. We brought on board some real, real good customers. One of them is Camp Champ. Another option is BAHN Camper Works. 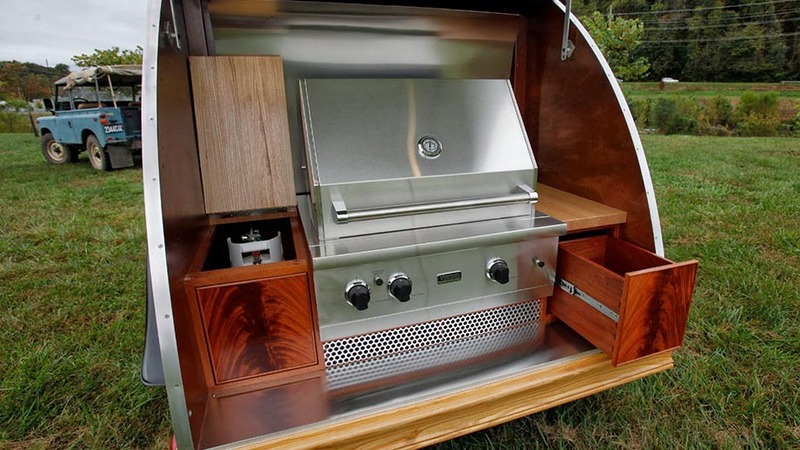 It’s kind of like an outdoor kitchen. We have a Mollusc tent, beautiful, very smart. We got Lotus Belle which is a real nice tent, and we got Yurt Cabins. And you know what? There’s been some really, really crazy advances in this whole, you know, glorified, glamorous type of camping, not the old pop tent that’s stuff that we used in the army. But anyway, if you’re interested in this kind of a product and you want to really take your camping to the next level, we definitely have the right products. So anything that you’re looking for, believe me, if it’s out there, if it’s brand new, cutting edge, we got it. If you have any questions, call Vicky at 561-352-8002. Thank you for your time, have a beautiful day, and God bless. We hope you enjoy your new glorified camping experience.